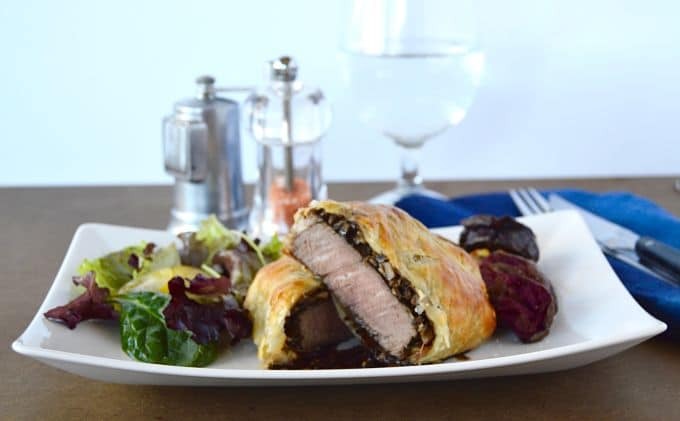 Simple Beef Wellington looks impressive. 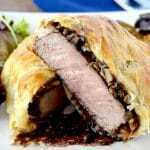 It’s a flaky puff pastry crust wrapped around a juicy beef filet that also is perfectly slathered with mushrooms and prosciutto. Top it off with an easy-peasy stock full of flavor red wine sauce…. That special someone will definitely love you for this recipe. I have always loved Hell’s Kitchen. I know I’ve talked about my fascination with this show and how Gordon always yells at the contestants. I’ve always been kind of intimidated by his Beef Wellington. I was afraid of baking a beautiful (and yes, kind of expensive) beef tenderloin. I tend to like things pretty rare and the prospect of ruining a great cut of meat had always been what had stopped me from making this. 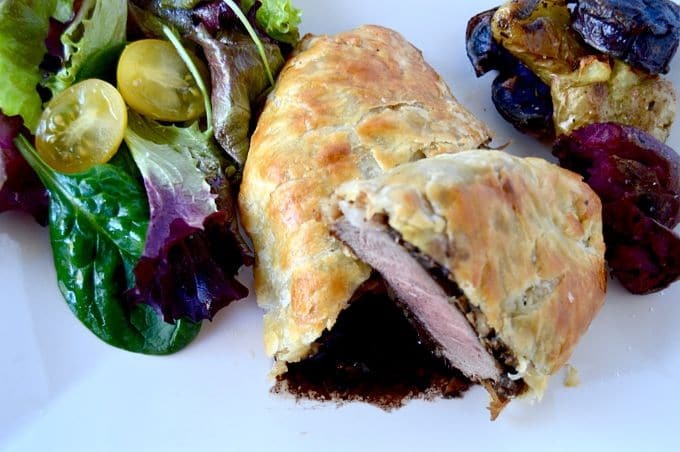 Beef Wellington is a filet of beef baked in a pastry crust. It has either a mushroom mixture (duxelles) or a meat mixture (pate) or foie gras in between the tenderloin and the pastry crust. 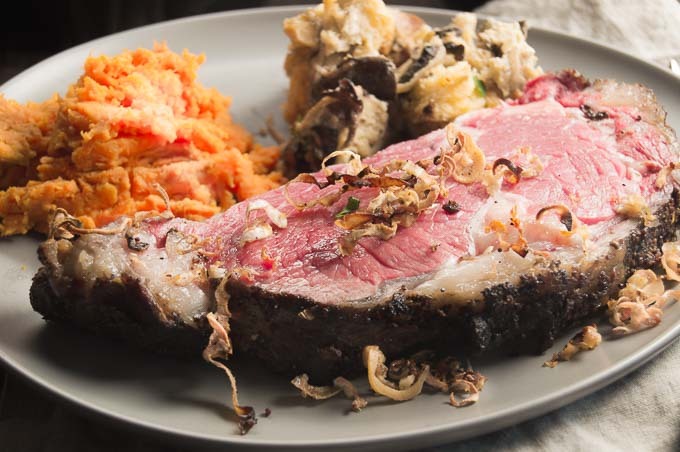 The dish was named after the Duke of Wellington, the man who defeated Napoleon. It’s inspired by Gordon Ramsay’s recipe…. It’s so delicious … I mean is there anything better than savory, flaky puff pastry? It goes wonderfully with the perfectly cooked fillet and the mushrooms and prosciutto compliment everything. The photographs of the Simple Beef Wellington I show here are from the one I had leftover…so it’s a little more well done than the ones my husband and I ate. Watch this Video to see the how to steps in making this recipe. ( This video is from my Appetizer Recipe for Beef Wellington. Looking for other recipes to make for a special occasion? 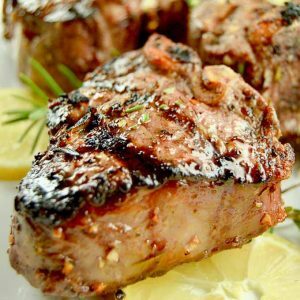 Check out some of my other recipes to impress your guests! Pin this recipe for Later here to have when you need it! 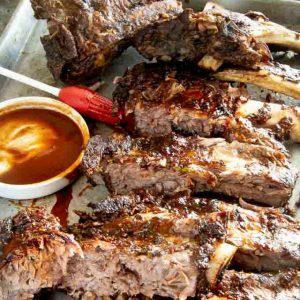 You can also sign up for the mailing list on this page where it says “Join The West Via Midwest Community” to get tips and recipes for entertaining others with ease and NO STRESS!! 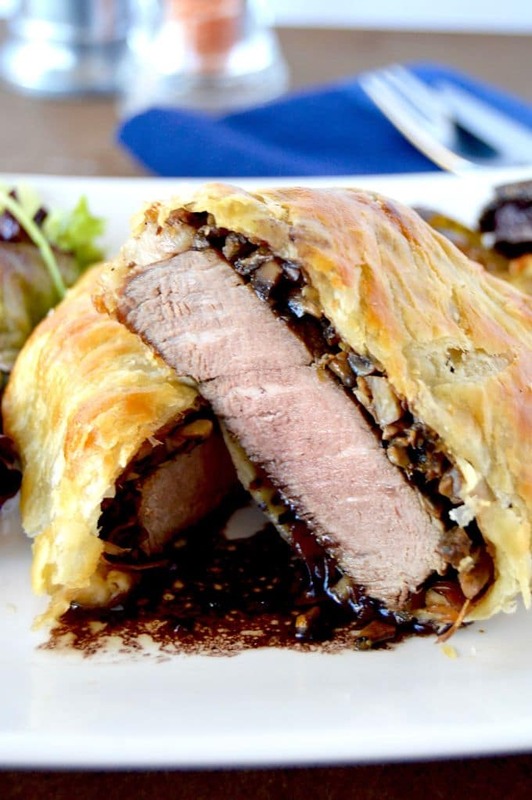 Look at those mushroom duxelles between the beef and flaky pastry! YUM! Before you do anything, read the instructions on the puff pastry about thawing it. Have the puff pastry completely thawed and rolled out before starting on the rest of the recipe. I have found that most store bought puff pastry comes with 2 packages, for this recipe you will only need one of them. Set thawed and rolled out pastry on flour dusted parchment paper until needed. Heat a skillet to high, then add olive oil to pan and swirl to coat the bottom. While the pan is heating up, season the beef with salt and pepper generously. Once pan is hot and oil in pan, sear both sides of beef for 60-90 seconds on each side. Reduce heat to medium, add butter, shallots and garlic and saute until shallots are translucent. Add mushrooms and tarragon and stir often. Continue to cook until all liquid is released from the mushrooms and completely evaporates. This can take up to 20 minutes or so. Remove mushrooms from pan and allow to cool for 10 minutes. While mushrooms are cooling, lay two pieces of plastic wrap side by side, large enough to be able to wrap the beef after preparing it. Then lay the prosciutto (1-2 pieces for each filet) in the center of the plastic wrap. Now in the center of the prosciutto, about the same size as the piece of filet spread half of the mushroom mixture evenly. Then place the tenderloin on top of the mushrooms. Wrap the rest of the prosciutto tightly to encase the filet. Then wrap the plastic wrap tightly around entire filet. You will now be placing the proscuitoo/mushroom wrapped filet over the puff pastry to form a bread casing on all sides. In the center of one of the pieces of puff pastry, place the mushroom side down. Take the edges and fold them over tightly sealing securely. You can cut off any excess pastry. Now again place each pastry/filet in a separate piece of plastic wrap and place in the fridge for at least 30 minutes. Remove Pastry wrapped filets from plastic wrap and place the sealing side down(mushrooms will be on the top) on a baking sheet at least 2 inches apart. Brush tops with Egg wash. Then cut a small X in the center for venting. You can either cut in 1/2 as I pictured it or leave it whole. Serve atop the red wine reduction sauce below. This recipe is quite easy to make, but it does have a lot of resting and chilling time in between steps. I find it easier to prepare this up to the baking stage the day before I am going to serve it. The read wine reduction can be made ahead or the day you are serving it. 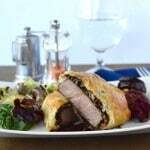 Easy reduction for not only this beef wellington recipe but for any steak you make. On medium high heat, In the pan you seared the steak in, add 1 tablespoon additional olive oil, minced shallots, garlic and any leftover fat trimmings. Saute until shallots are translucent. Deglaze the pan with wine and reduce liquid to half the amount. Add in the stock and continue to cook for 15-20 minute, until liquid reduces to half the amount. You can either just remove the bay leaf and fat pieces or you can strain everything out. (If you strain everything out add the butter before straining.) Stir butter/sauce until all butter is incorporated. Spoon onto the plate then place beef atop of the sauce. Looks great! That looks so flavorful. Perfect for a Valentine’s night in! This is perfect for Valentine’s Day! Pinned! thanks Mira! Hope you get to try it! 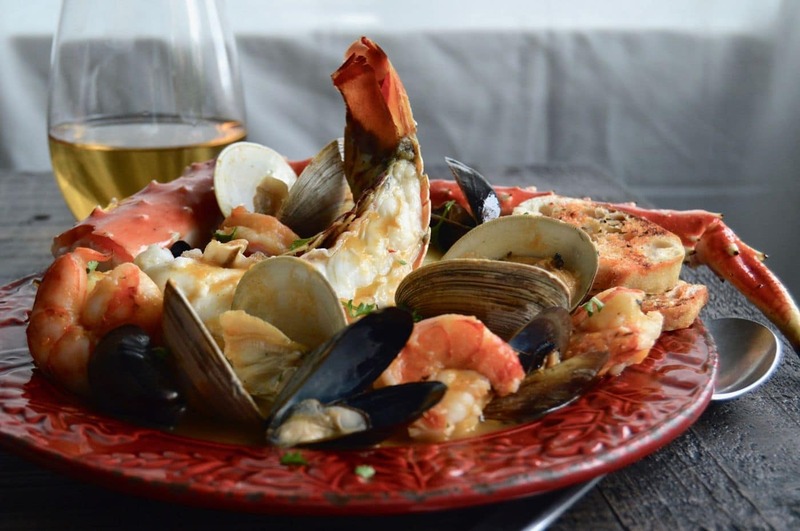 This looks like the perfect date night dinner! perfect for date night in! I’ve never tried this before but I love mushroom and prosciutto hmm yum! 😉 Yep! Prosciutto makes EVERYTHING better! I love watching Hell’s Kitchen too! Great show! I have two friends that love making this. I will have to see what my boyfriend thinks of it, we are constantly talking about it when we watch Gordon Ramsey. Thanks for sharing a dinner for 2 recipe. I can make chicken nuggets from them and Beef Wellington for us. Hell’s Kitchen is so entertaining. I’ve never had this, but I KNOW my husband would love it! I love Beef Wellington, but I’ve never tried making it on my own. You make it look so simple. I would love to try this. Oh my gosh, this looks fabulous! I’ve been searching for a few more recipes using beef that I could try, just to switch things up and do dinner differently. I saved this link and sent it to my husband! Thanks for the great recipe! Oh wow, this looks so good! I will have to show this recipe to my husband for us to try! I’ve never made it because it seems so hard, but this really breaks it down! My hubby would love it! This sounds absolutely delicious! 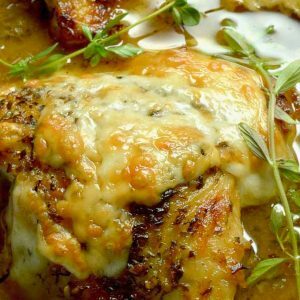 My husband would love this for dinner tomorrow, going to have to run to get the ingredients! I have never had this before! We aren’t big meat eaters in our home, but I do love a good steak once in a while. I might have to give this a try! The perfect choice for Valentine’s Day. My favorite recipe. Nice job. I have never tried this but you are making me want to! Thanks for the recipe! OMG looks so delicious! I used to waitress in fine dining and this dish always intimidated me, especially when people ordered it in varying temperatures! I may have to try your version! 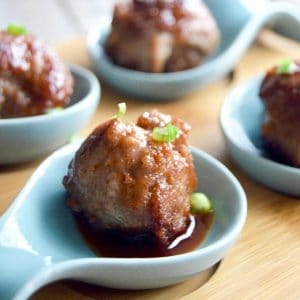 I really like how you’ve made this culinary favorite into an easy to create recipe. It looks so yummy. I think Gordon is the master of all things food. I’ve heard rave reviews about his beef wellington..but I know if I ever tried to make it myself he’d somehow pop into my kitchen and tell me all the things I’ve done wrong. Looks like you did it, though! I have to admit that beef wellington looks delicious and I don’t even eat meat lol! I would love to make a veggie version with Quorn! Mm this looks divine. The way you’ve cooked the beef is perfect. Delicious recipe! My hubby would be one happy man if I presented him with this for dinner. That puff pastry looks so perfectly golden!